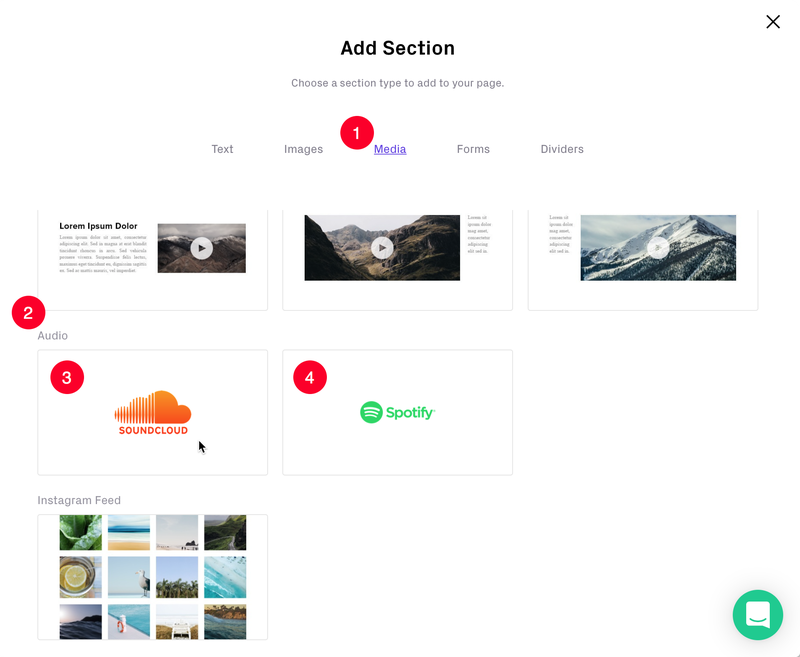 If you haven't already used Custom Pages, please see our guide here or continue reading below. 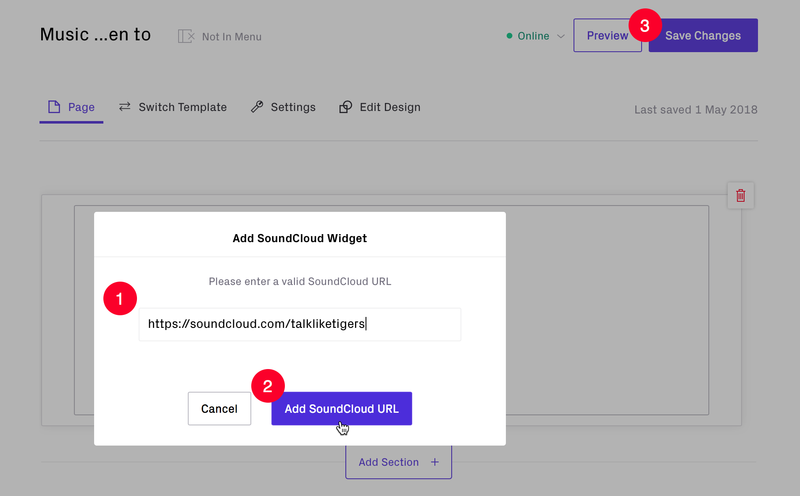 Find the tracks or albums on SoundCloud that you want to add and tap the 'Share' icon and Copy the full URL. Previewing your live site will show the familiar SoundCloud album thumbnail and audio player controls. 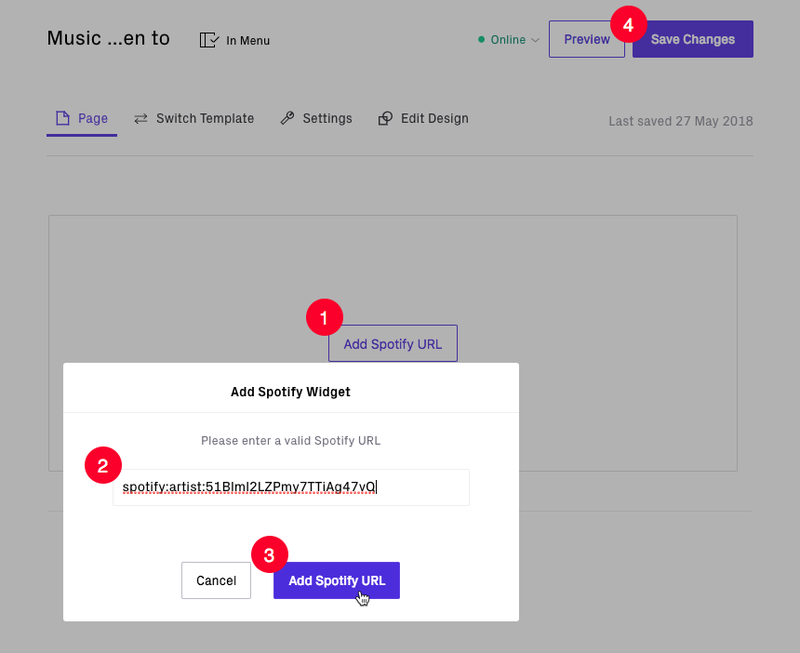 Log into your Spotify account and find or prepare the Playlist you want to share. 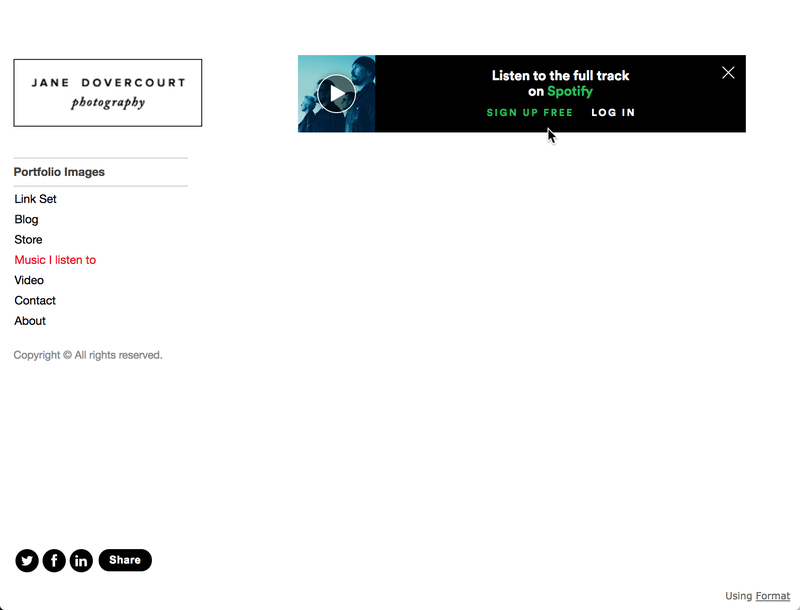 Tap the 'Copy Spotify URI' link. Preview the Live Site and play audio. 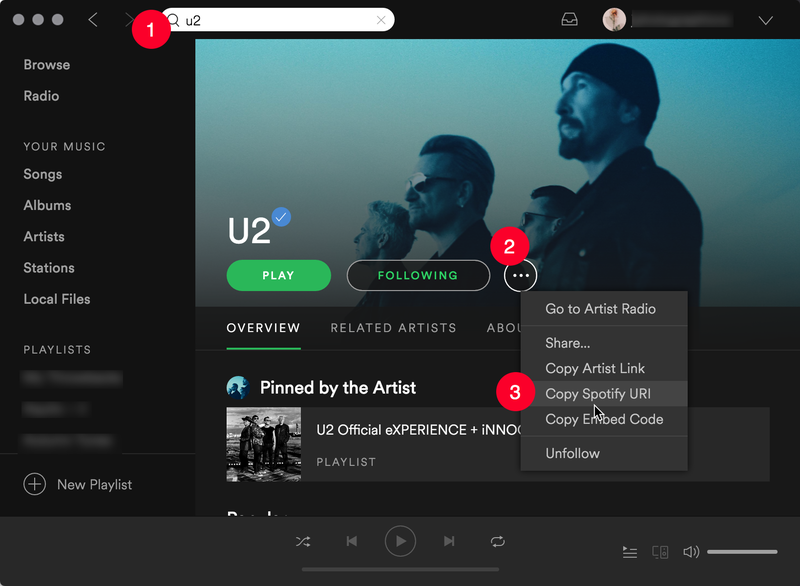 If you are posting someone else’s music the artist may require your visitor to log in (to Spotify) to listen.